The IPv6 Pioneers and Leaders take IPv6 where it has not gone before! Dakar/Luxembourg, September 4, 2006 - The IPv6 Forum is embarking on a large-scale promotion plan in the emerging nations. We welcome Senegal as the newest country to join this initiative by establishing the IPv6 Forum Senegal under the leadership of Mme Maye DIOP, President, IPv6 Forum Senegal. The prime objective of this initiative is to promote deployment and swifter uptake of the new Internet using the new Internet Protocol version 6 (IPv6) with support from industry, educational and research communities and government agencies enabling equitable access to technology and knowledge by extending to it a strong voice and a legitimate representation in the new Internet world. The IPv6 Forum Senegal will be launched during the Dakar IPv6 Summit organized by the Internet Society of Senegal closely working with the leaders of the IPv6 Forum. The event is generously sponsored by the Internet Society (www.isoc.org) and the European Commission project 6DISS (www.6diss.org). You may download the summit agenda here: agenda_dakar_summit.pdf. "The leaders of the Internet Society Senegal are establishing the IPv6 Forum Senegal to extend to its national Internet community and Africa at large a strong voice and representation in the new Internet world to enable equal access to knowledge and education on New Generation Internet technologies and create momentum in deploying IPv6 for the global good", states Latif Ladid, IPv6 Forum President. The Internet uses Internet Protocol version 4 (IPv4) for the last 2 decades. Despite its tremendous success, IPv4 is showing signs of strains especially in its limited address space and its fast depletion. IPv6 preserves everything that's good about today's Internet - and adds much more: unlimited address space to connect everyone and everything, stateless auto-configuration, seamless mobility, automated network management, mandated security and new optional service levels. The IPv6 Forum Senegal is a chapter of the IPv6 Forum dedicated to the advancement and propagation of IPv6 (Internet Protocol, version 6) in Senegal and the French-speaking Western African nations. Comprised of individual members, rather than corporate sponsors, the mission is to provide technical leadership and innovative thought for the successful integration of IPv6 into all facets of networking and telecommunications infrastructure, present and future. consideration for not compromising IPv4 security. The IPv6 Forum Officers requested a meeting with the IPv6 Forum Regional Leaders (not Regional Sub Task Forces) and the IPv6 Forum CTO Executive Committee to meet in Las Vegas February 21-23, 2006 in Las Vegas, NV, USA. We had world wide participation and it was quite successful. What we did is identify the IPv6 Forum mission and focus out to 2010, and the attached report reflects the result and direction. This is a living document and will be updated every six months. The current version is accessible as pdf: here . We want to thank all the IPv6 Forum Regional Leaders world wide that attended and a special thanks to three key significant contributors as writers to this document Yanick Pouffary, Yurie Rich, and Dave Green. This leadership forum now called "Leaders Forum" put a lot of work and energy into this collaborative effort world wide. Tel Aviv/Luxembourg, July 25, 2006 - The IPv6 Forum and its 40 worldwide affiliates are embarking on a large-scale promotion plan around the world. Israel is the newest country to join this initiative with the creation of the IPv6 Forum Israel under the leadership of Mrs. Limor Schafman as its founding President. The prime objective of this initiative is to promote deployment and swifter uptake of the new Internet using the new Internet Protocol version 6 (IPv6) with support from industrial, educational and research communities and government agencies enabling equitable access to technology and knowledge. ?The IPv6 Forum Israel is bringing IPv6 to Israel to extend to its national Internet community a strong voice and legitimate representation in the new Internet world to enable equal access to knowledge and education on New Generation Internet technologies and create keen interest in deploying IPv6 for the national good,? 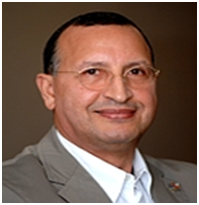 states Latif Ladid, IPv6 Forum President. ?This New Internet is a focus of hundreds of millions of dollars in China, Japan, Korea and Taiwan. China has declared its intention to have the foremost information infrastructure in the world by 2008 and IPv6 is one of the avenues it is specifically pursuing to achieve that goal. There is no reason that a recognized technological innovator such as Israel, should not take a lead in the adoption and implementation of this protocol and the application benefits it can bring,? adds Limor Schafman, IPv6 Forum Israel President. ?Europe and the United States are also adopting the protocol, with the US Department of Defense and Office of Management and Budget mandating that information products and services be IPv6 compliant by 2008. Time is of the essence for education and the development of transition strategies. The IPv6 Forum Israel will provide the resources to enable the Israeli government, military, infrastructure and commercial companies understand what IPv6 offers and how they can begin and execute on the adoption process.? The current Internet uses Internet Protocol version 4 (IPv4) for the last 2 decades. IPv4 is showing signs of strains especially in its limited address space and its fast depletion [IPv4 has 4.3B IP addresses of which an estimated 23% are still available]. This is particularly true in light of the anticipated 17 Billion devices that will be installed worldwide by 2012 [Source: IDC Estimates, 2004]. IPv6 preserves everything that's good about today's Internet - and adds much more: unlimited address space to connect everyone and everything, stateless auto-configuration, seamless mobility, automated network management, mandatory security and new optional service levels. The IPv6 Forum Israel is a chapter of the IPv6 Forum dedicated to the advancement and propagation of IPv6 (Internet Protocol, version 6) in Israel. Comprised of individual members, rather than corporate sponsors, the mission is to provide technical leadership and innovative thought for the successful integration of IPv6 into all facets of networking and telecommunications infrastructure, present and future. The IPv6 Forum has contributed to an OECD discussion within a workshop on the future of the Internet. Latif Ladid, IPv6 Forum President, and Jim Bound, IPv6 Forum Chief Technology Officer, responded to a number of questions, along with input from Mark Handley, who added "The problem is that addressing is the most fundamental part of the Internet, and it is through addressing (as reflected in routing protocols, etc) that almost all policy is expressed by Internet providers. As we run out of IPv4 addresses, the Internet won't come crashing to a halt. But the technical options will narrow. The effect is that this stiffles what is possible, not only technically, but also from an economic and public policy point of view too." If you wish to advertise an event or correct information here, please email the site editor at editor@ipv6forum.org.